The design of our telescopes with a complex honeycomb structure milled from solid aluminium, provides extremely high strength and stiffness. Made from solid aluminium plates with a gross weight of ~ 340 kg only a weight of about 40 kg (RC20) is left at the end for all seven major bearing milled parts. Thus, for example, the average truss plate has a thickness of 55 mm (RC20) and weighs only a few pounds but still has the stability and twisting ability of a 55 mm thick plate. 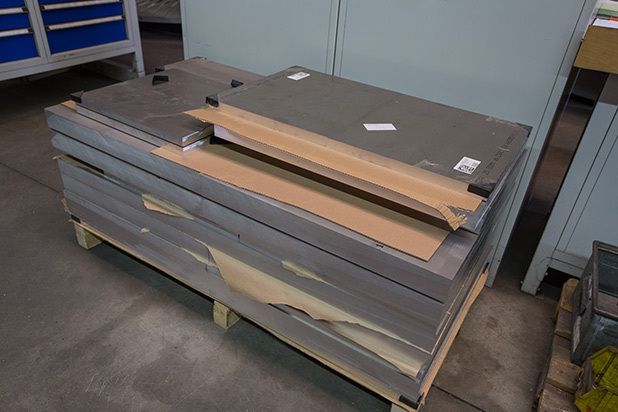 Here other manufacturers use plates with thicknesses of 10 to 20 mm. 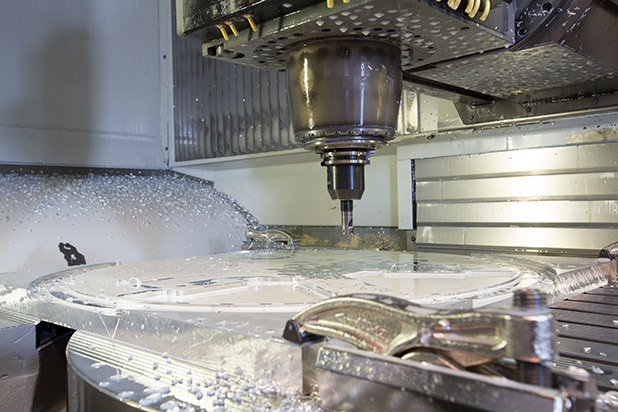 A high load instrument without the slightest shift of the optical axis requires great design and technical manufacturing effort. Not only the backplate must hold the loads, but also the mounting plate and saddle plate. But otherwise our telescopes are prepared for all eventualities. 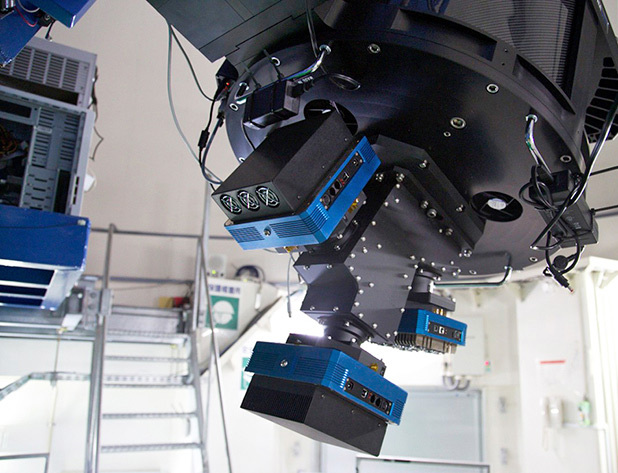 For example, the upper mounting plate, which is often used for holding small refractors, is quite capable of holding even larger and heavier refractors without restrictions. All this is only possible with modern CAD programs and FEA (finite element analysis). 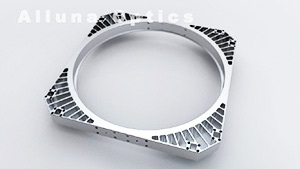 This ensures that all parts can be optimized for weight, stability and expansion behaviour in advance. 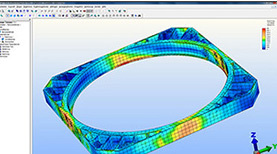 The extensive FEA additionally helps to analyse all structural stress through simulation and is therefore an important tool. If you want to use larger instrument loads on our telescopes, please contact us. We can take the appropriate steps based on your requirements and integrate the desired mounts right into the design and manufacturing. can accommodate three telescopes. 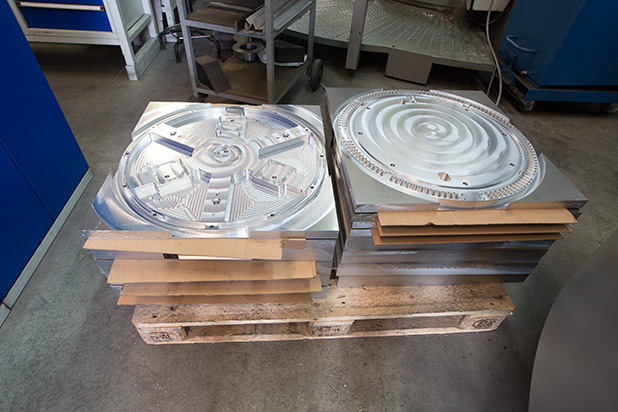 The finished machined parts together weigh only 120 kg.